To follow up the program “An Evening of Sho,” Music From Japan hosted two symposia at the Asia Society: “Modern Music Education” on the 21st, and “Handing Down the Tradition” on the 21st. Composer Makoto Moroi lectured on “Modern Music Education;” a discussion followed. For “Handing Down the Tradition” Mayumi Miyata, Ralph Samuelson, and Reiko Kamata gave demonstrations on their instruments and lectured about their music. A panel discussion and question and answer session with the attendees followed. 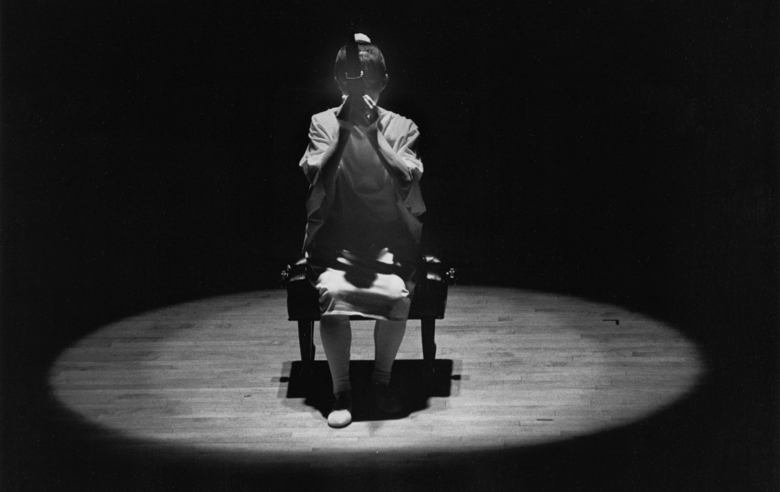 Finally, on March 14th, 1987, Music From Japan presented its first mixed media concert, featuring a collaboration between four eminent artists: Ushio Torikai (composition, performance), Tetsu Maeda (designer), Blondell Cummings (choreography), and Christine Wright (dance).